Thank you for visiting us, and welcome to our little Village in the heart of Goodwood, just the “other” side of the Adelaide Parklands and 5-10 minutes from the CBD. Use this site to find out about all the people and businesses in our stretch of Goodwood Road, about our happenings and events and all the interesting things we have to see and discover. 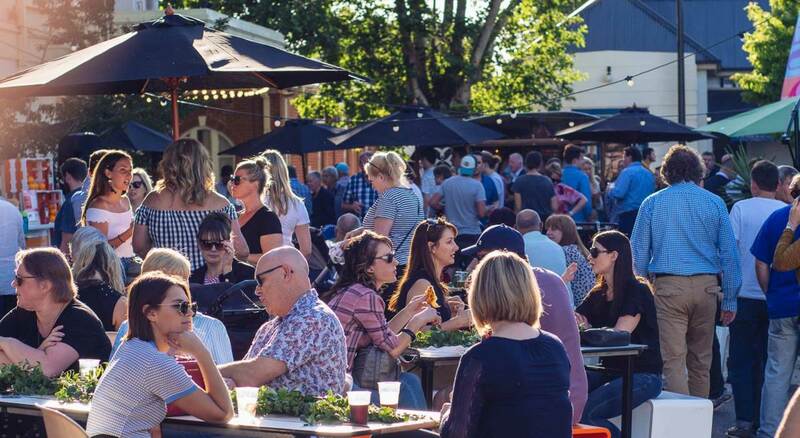 You’ll love the village atmosphere of Goodwood Road Goodwood, where you’ll find a variety of cafes, restaurants, shops and health and beauty, community and business services. Wander up and down the road and as well as the shops and businesses, enjoy the friendly people, the interesting art, and at night, the lovely lights. We love a good street party on Goody Road – always lots of Family fun. selection of art from South Australian artists. Keep an eye on this web site and our Social media, for all the whats, whens and wheres. Sign up for our newsletter to keep up with all the goody news and events. We won’t bombard you – just when we have something we think you’ll be interested to hear.